Description: Cecil Aldin's Happy Family series. 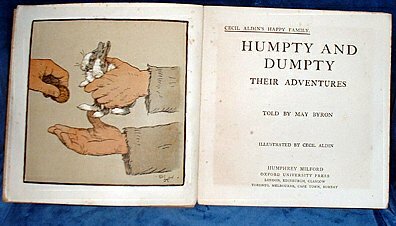 London etc., Humphrey Milford/Oxford University Press 1912 approx) color plates (6 fullpage including one doublepage spread) + many drawings by Cecil Aldin . Square octavo pictorial paper covers (lacking spine paper) half title with prize inscription dated 1919, frontis.+TP + 36 pages unpaginated. Light scattered foxing but neat. Rabbits and their adventures with dog and other animals.